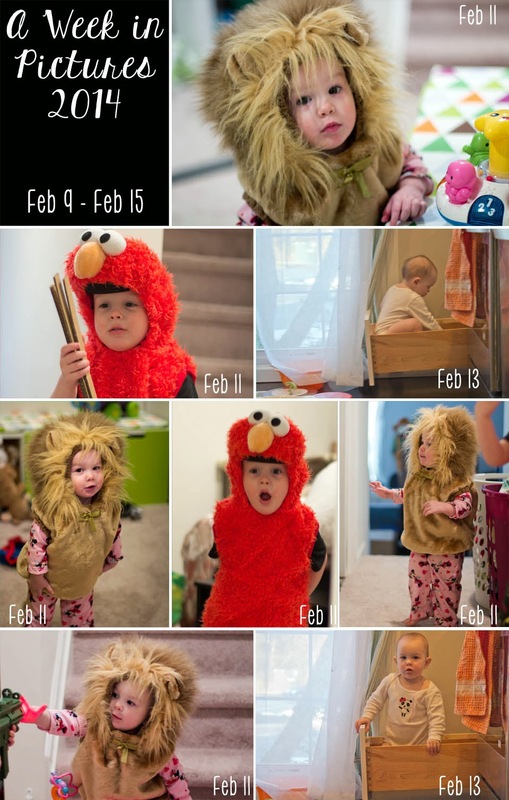 February 11 – We played down in the playroom together for a long time and they had so much fun playing dress up. N chose their outfits. S loved her lion outfit so much that she didn’t take it off until bedtime. February 13 – S always gets into the drawer and pulls all of the bowls out. Today, she decided to take it in a more literal direction.